I am really loving parkrun just lately. If you have never been, I strongly suggest you give it a go. It is a free, timed 5k run happening all over the country (and now the world!) every Saturday morning at 9am. The parkrun community is such a lovely, friendly and welcoming one and knocking out a 5k on a Saturday morning is a great start to a weekend! Today was my 30th parkrun (getting ever closer to that magic number 50!) and I decided to head to the Northampton parkrun (the one favoured by our club). I stopped on the way to pick up a bunch of our club runners who were running the 15 miles off-road back from Northampton to Wellingborough so would need a lift to get there in the first place. Crazy fools! I was tempted, but decided I should be sensible as I have a 15 mile long run penciled in the diary for tomorrow. I just have to remember to continue being sensible for the next seven weeks so that I make it to Mablethorpe Marathon race day intact! On Thursday morning I headed out with my friend Lindsay to Pitsford water. I recently drew up a rough plan to help Lindsay get from 5k to 10k (making her fully aware that I was not qualified to do so!) and Thursday was the day that she planned on reaching the 10k milestone. When we first set out we were very chatty and running at a relaxed pace. It’s weird, but even though when I run with Lindsay I run much slower than I normally would go out at, after a couple of miles my legs always feel like they’re hitting their max pace! I guess they just get into a rhythm once we’re going. From mile 5 Lindsay had to dig deep and the conversation became less. This is the point that my mind always goes blank. I feel like I should be the talker by this point when pacing someone, but can only ever think of questions to ask the person I’m pacing! 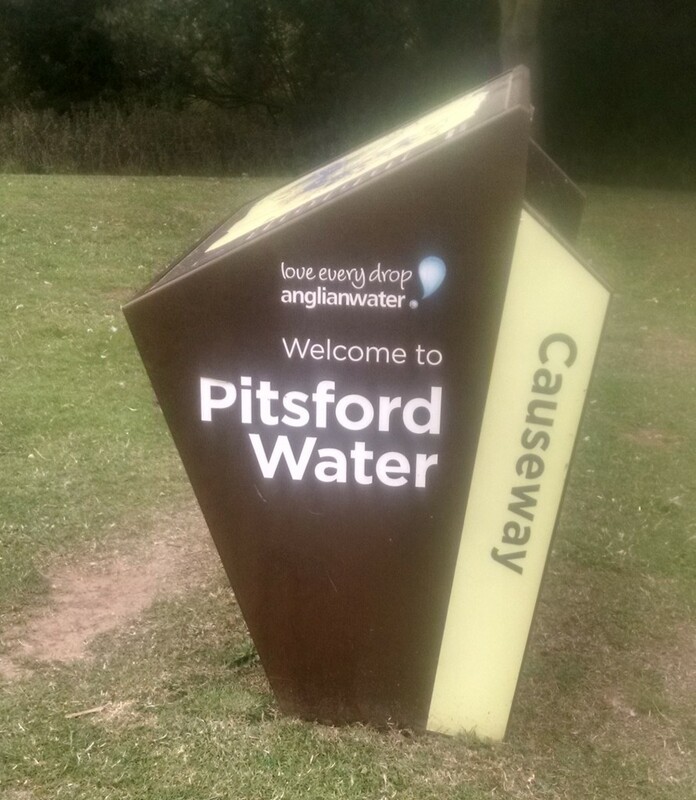 I think it is about 7 miles in total around Pitsford Water but we had walked a little way at the beginning as a warm up so ended up running right back out onto the Causeway near to our cars to hit the 10k distance. My watch said we ended up running 6.3m but we went by Lindsay’s new Garmin and waited until 10k displayed on the screen. A huge achievement. 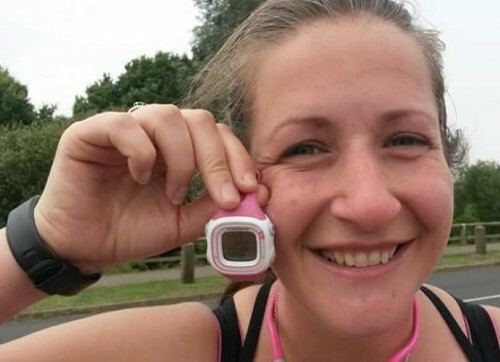 Lindsay was there, – I think she’s a little addicted now, as she had to rush around to fit in parkrun this morning before heading off afterwards on her holiday. I have been running round the course with her in recent weeks but needed more of a tempo run today, so decided to run my own race this time. I have never seen so many children and dogs as were there this morning. It was nice weather – not too warm, with a bit of a breeze. I had no intentions of aiming for a PB, as it has only been a fortnight since running the 70 miles at Grim. Therefore I planned to run at 170bpm (normally I would aim for closer to 175) using my heart rate monitor and to remain consistent. As we were lining up listening to the announcements, my watch lost satellite signal (every runner’s fear!) and I hurriedly restarted it. Luckily it then found satellites just as the countdown began so that I could start it on time. It did mean that my heart rate took a little while to settle at the beginning of the event though. I set off at what felt like a nice gentle pace, although at one point my still-settling watch was telling me my heart was beating at 193bpm! It ended up averaging out to 169bpm across the 3.1miles though, so right on target. I knew I was running quite well but was still surprised to see my first mile show up on my watch after 8m 37s. I decided to try and maintain that pace over the 5k distance and miles two and three followed in 8:44 and 8:37. Very consistent for me! The final nubbin of 0.16 miles (must have been all the swerving round the kids!) was run at 7:47mm pace. Mainly down to the W&DAC support crew on the sidelines shouting at me leading up to the final straight. I’m not sure I would have overtaken the two runners that I did here had it not been for the loud voices of our club members! Best support out there, our running club. A couple of non-running partners of our club members have recently taken up parkrun and so it was nice to be able to cheer them over the line as a big group. Lindsay came zooming past shouting out that she was on for a PB. She got it as well. 27 seconds off of her previous best time, just two days after having run her longest distance. I finished in 27:17. 179/369 position, 32/151 female position and 7/18 in my age category. I was really happy with my consistency and also just how easy my legs had found the higher tempo pace – my fastest since the Grim Reaper. I didn’t feel as though I had overdone it, but at the same time I had completed a good workout. It’s all about finding the balance! Do you run parkruns in the build up to longer events? Do you always run every parkrun at top effort? Or do you select which weeks to really blast times out? I’ve just never ‘got’ Parkrun. I really should at least give it a go, but the idea of running laps and having to weave in between people walking, with pushchairs and with dogs seems like a total nightmare to me…even worse is the fact that fast runners at the front would no doubt be frustrated by trying to pass me as I limp slowly along. Still, all of the speedy people do Parkrun, and it’s hard to find a timed 5K anywhere otherwise. I just caught up on your previous posts and obviously I’m blown away by how well you did at the Grim Reaper. Running 70 miles seems like an impossible lifetime dream for me, but you’ve done it twice and wil no doubt complete at least that distance again! I don’t know how you handle it mentally in particular – if my body reacted in an unexpected way I would have a panic attack and completely go to pieces. Your psychological strength is unparalleled and I’m beyond impressed by your drive and determination. Lots of parkruns don’t have laps. The one I run at Sheringham when I’m visiting my parents is a beautiful one lap tough course through woodland and probably my favourite of the courses I’ve run so far. The more popular parkruns do involve weaving though I’m afraid, but there are still plenty of smaller events about. I find it’s often better to start closer to the front of the pack at parkrun. Thanks for your comments about Grim. Mentally, I felt a lot more ready for the race this year. Definitely more so than I did fitness-wise. You are one of the mentally-strongest runners I have met! You always strike me as incredibly determined in everything that you do. I think a lot of ultras are run on mental strength more than anything and I just managed to get things right on the day this year. There’s still a lot of luck involved too though! As you know, I love parkrun! My fave course is more cross country than park so I won’t beat myb5 k pb there. Some weeks ( when it’s cooler) I go for it, if I have a long run or race the next day I go easier and just enjoy. You can’t be far from your 50th parkrun now? I do really enjoy the cross-country parkrun routes. It’s nice that there is such variety between the different courses. I loved it! I promise I will say hello next time! It was so close to starting time when I saw you, I was worried I’d hold us up if I came to speak to you. I ran with a friend from running club, I start off better than her but she pushes at the end so we are a good team at the moment. I came 325th overall and 120th lady (or 324th/119th because I ran in with my friend and she went down the funnel first). Our time was 34:33 and my age graded 44.52%. I’m really pleased as it’s only 11 weeks since I started running and only the third time I’ve run 5km, and I walked a bit on the first one so really only my second full run. It’s so addictive. Pitsford is on my list of runs to do in the future. I need to get a bit more distance under my belt yet. Glad you enjoyed it so much! I love how supportive the atmosphere is. Northampton has built up a really good group of people. Sounds like you make a good match with your friend. Your time is fantastic for having only been running for 11 weeks. Really big well done. It is definitely addictive though. I do love parkrun! For me first and foremost it’s a social event to see my running friends (as I don’t always make it to training) and then it’s about the running. If I haven’t done any sort of significant fast training in the weeks, like intervals or a race, I will try to run fast but it really depends how I feel. Sometimes I turn up and just really don’t fancy it, or I end up chatting to someone which is so much more enjoyable (though not great for improving my times I guess!). If we’re ever on the cricket pitch though (PB potential territory) then I will definitely go for it as that’s quite a rare course to do and it’s best not to waste it! Well done for helping your friend. I bet she was really chuffed! Often for me it is an on-the-day decision as well! My friend was super chuffed, and has now even started up a blog to track her progress! Heading to parkrun each week is a great way to improve on your PBs! Well done for already getting yours down. I just had a quick look and Market Harborough is not not actually as far away as I thought, so I might very well see you there one week! I need to get round a few more courses this year. I haven’t been to parkrun I think since Jan 1st when I set my pb! I work most Saturdays so I can’t usually go, although I have this one off and no other events on so maybe I will sneak out to one. Hope you made it to parkrun! I’m glad that I have Saturdays off, such a shame that you have to work.